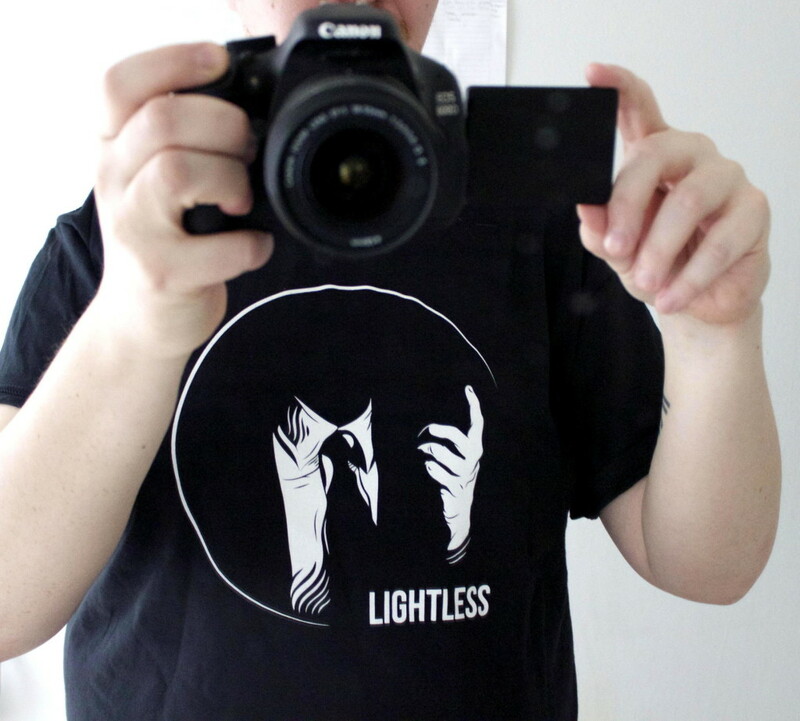 Classic Lightless logo t-shirts back in stock to celebrate 10 years of Lightless. It’s t-shirt weather sooner or later, so you know it makes sense. You don’t want people to think you’re a homeless person / D&B producer in your worn-out ragged old shirt, do you. Comes with a high-quality Lightless sticker (as seen in the pic) – the material is closer to plastic than paper and won’t rip off leaving your surface or papery and gluey. I’ll probably write some lame message on the flipside. 100% cotton heavyweight Gildan Ultra shirt.